Survey the solar system, observing the length of a year and the orbital path of each object. The positions of the eight official planets are displayed, as well as one dwarf planet, Pluto. Learn about Kepler's Laws and how planets are classified. 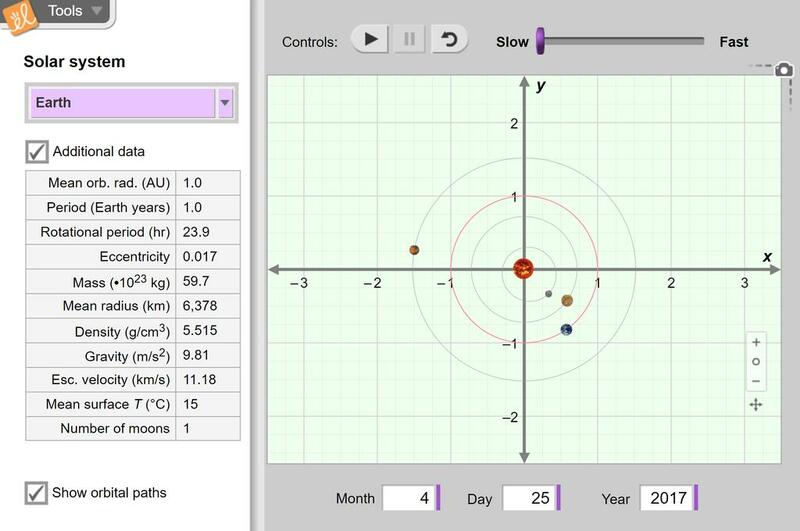 Engaging and useful Gizmo... goes over Kepler's Three Laws, compares&contrasts inner & outer planets, orbital periods and more!